Data Stream is the perfect event data solution for data-driven organizations. With the comprehensive data set that Data Stream provides, you can get insights into not just what happened at your event, but who did what – and even why. Data Stream allows you to get a deeper understanding of your attendees’ experiences, actions and preferences, as well as the role that events play in your overall customer journey and buying cycle. Data Stream is designed so that your organization can integrate event app data alongside all your other marketing data sources, including marketing automation, CRM, etc. 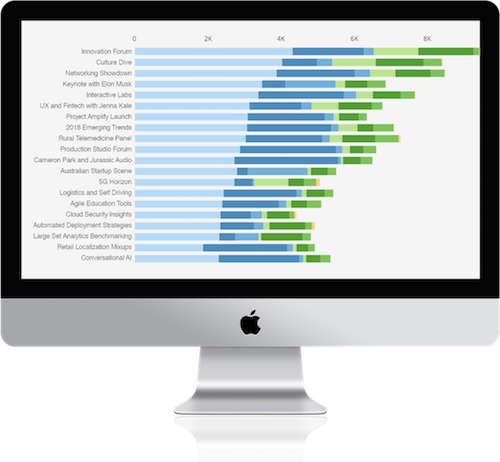 The event app data you get with Data Stream provides insight into each attendee’s journey at your events. Understand what resonates with your audience and design your next event with more confidence. Events are costly, yet challenging to measure. Data Stream lets you correlate event app data with sales data, letting you paint a clear picture of exactly how your events drove business impact. 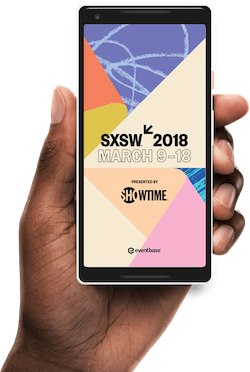 SXSW GO, the official mobile app for the massive South by Southwest conference, became the first Enterprise Event App to deploy Data Stream at their 2018 event. The team captured over 250 million app usage data points, they then used to better understand attendee behavior. What makes Data Stream enterprise-grade? Data Stream is designed to ensure that GDPR consent and data jurisdiction requirements are met. Data Stream data is encrypted at rest, and strong TLS and TLS pinning are used during storage and transfer.  Data Stream gathers data at scale, to accomodate the largest events in the world. Data Stream works with the business intelligence and analytics tools your organization knows and trusts. Combine your event insights with your other business analytics to complete a holistic picture of your full event spend.